Splendor on the green. 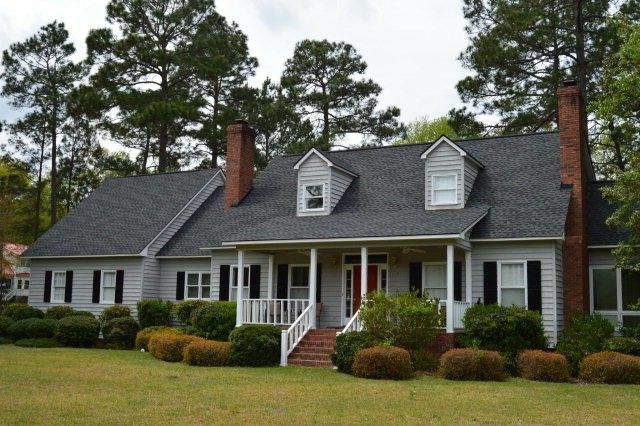 Located on the 14th Hole at Hawks Point Golf Course, this home features 1.84 Acres, a large deck for entertaining and front porch perfect for rocking. Inside, you'll find a spacious kitchen with gas cooktop, double ovens and large island. The Vaulted Sunroom features an impressive bank of windows and view of the interior balcony. The large great room has wood floors, high ceilings & a fireplace. The Master Bedroom Suite features a large bedroom w/fireplace, private sunroom and double bathroom w/ shower and tub. Upstairs boasts 3 large bedrooms and a multi-purpose or media room. This is a must see full of possibilities. Call Tammie Gibbs @ 912-293-2899.